Want to know where to go on holiday in 2016? Our friends at Skyscanner have just revealed their top five destinations on the rise - and top of the list is a little-known region of Portugal. Searches for the destinations below are all rising sharply in popularity and are likely to be THE hotspots for savvy travellers in 2016, says the travel search engine. 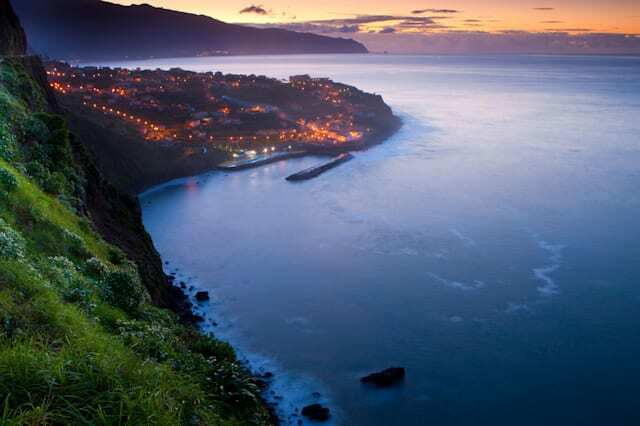 You heard it here first..
With more airlines flying to the Azores, including Ryanair's new weekly flight from Stansted to Ponta Delgada, this autonomous region of Portugal is opening up as a viable budget travel destination and is therefore experiencing a tourism boom. Searches for holidays here have increased by 63%, says Skyscanner. With excellent hiking, whale watching, surfing and diving, the Azores is likely to feature heavily on adventure travellers' holiday bucket lists in 2016. After years in the cold, Cuba is back on the world stage as the USA restored diplomatic relations in July and continues to loosen restrictions on trade. If more restrictions are lifted, flights from the US and US hotel chains are likely to be opening in Cuba in 2016. Many people therefore booking flights to Cuba to experience the country before it changes beyond recognition - and before prices rise as a result. Having been shut off for so long, Cuba is trapped in a time warp, with crumbing colonial buildings and 1950s cars. In other words, it's like nowhere else on earth. Tourism has boomed under the current prime minister's administration. The national tourist board are actively targeting niche UK markets by focusing on ski, honeymoon and adventure tourism offerings. 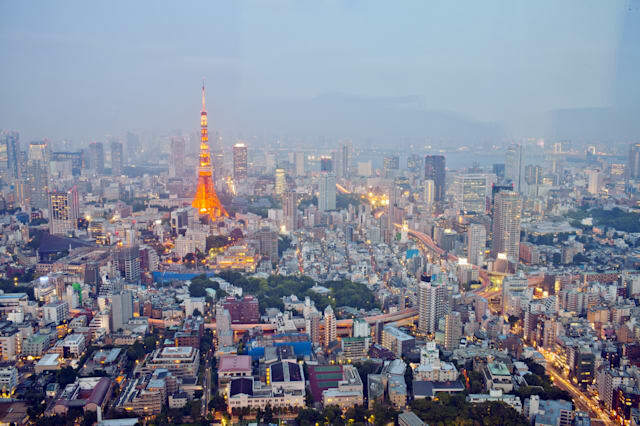 Thanks to the excellent value Japan Rail Passes and Airbnb type accommodation, Tokyo is now 50% cheaper for UK travellers than in 2013 according to the Post Office's Long Haul Report. What's more, Japan will host the 2020 Olympics and the 2019 Rugby World Cup so attention will only increase throughout 2016. Hokkaido's first Shinkansen high speed train will also launch in 2016, opening up more of Japan to visitors. Recently voted the ninth most reputable city in the world, Copenhagen is a must-visit for culture vultures and foodies alike. Home to the five-month long Tivoli Festival (May – September 2016), classical music fans can expect a star-studded line up hosted at the stunning Tivoli Gardens. 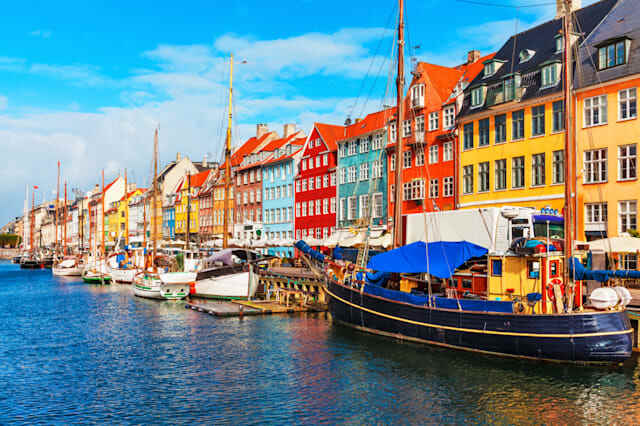 February is also a great time to visit the capital, with the Copenhagen Cooking festival showcasing ever-increasingly popular Nordic cuisine, whilst fashionistas can immerse themselves in the city's Fashion Week, the largest of its kind in Northern Europe. With a reputation for unspoilt beaches and cobbled streets, the island of Sal in Cape Verde is only just emerging as a tourist destination. Thomson Airways is adding to its portfolio with a new route from Bristol in summer 2016. What's more, with chart-topping acts and reality stars frequenting these West Africa isles, Skyscanner predicts the destination's popularity will continue to rise. 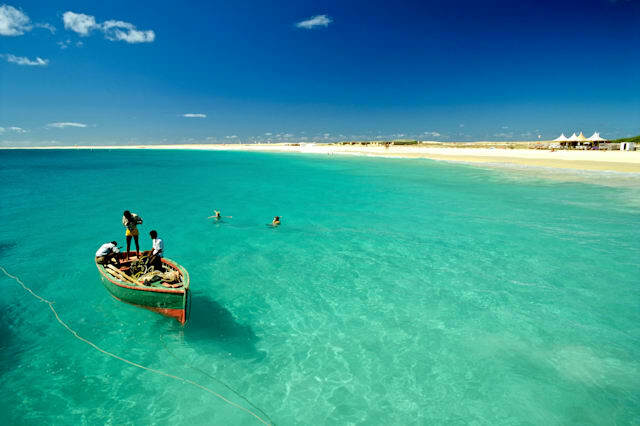 Sal is also a great base for exploring the rest of the archipelago, from the canyons, gorges and valleys of Santo Antao to the Sahara-like dunes of Boa Vista. After the devastating earthquakes in April and May 2015, there is new interest in Nepal now that it is safe for travel again. The roads between the main centres of Kathmandu, Chitwan and Pokhara are open, along with tourist sites. Visitors will receive a warm welcome from the locals, many of whom depend on tourism for their livelihoods. For the perfect introduction to Nepal’s main highlights, try the Treasures of Nepal tour with Transindus, a 12-day exploration of Buddhist temples, country villages and local wildlife, from £2,365 per person. From May 2016, British Airways will fly direct from London Gatwick to the Costa Rican capital of San José. The non-stop journey will take under 11 hours, making this Central American paradise more accessible than ever before. With its Pacific and Caribbean coasts and vastly varied topography, this fascinating tropical country offers a dizzying array of rich and colourful wildlife, volcanic peaks, hot springs, rugged rainforests and almost 300 unspoilt beaches. DialAFlight offers a Tropical Journey Tour from San José starting at £1,595 per person for departures between 15 May to 2 June. An underrated corner of northern Spain, the compact yet diverse Basque Country boasts spectacular mountains, idyllic beaches, fine wines (La Rioja is at its heart), exceptional cuisine and world-class art. 2016 sees the picturesque seaside town of San Sebastian - home to the world’s second highest concentration of Michelin-starred restaurants – come under the spotlight, while BA’s new direct route from Heathrow to Bilbao makes visiting Frank Gehry’s Guggenheim Museum and its new Masterpieces exhibition of 20th century artists an even more attractive proposition. Kirker Holidays offers holidays to Bilbao, San Sebastian and La Rioja, from £1,148 per person for seven nights. With the Foreign Office relaxing its travel advice for British nationals visiting Iran and the British Embassy in Tehran opening again after a four-year closure this year, tourists are expected to be returning to the country in larger numbers throughout 2016. A handful of UK operators offer tours to Iran, including Regent Holidays, which has a 15-day Journey through Persia by train itinerary (from £5,995 per person, departing May and September) that visits some of the spectacular sights the country has to offer, taking in the vibrant culture, delightful scents and bustling bazaars, as well as exploring 3,000 years of history. Want value for money? Whether seeing the Sydney Opera House up close, exploring the vast Outback or cuddling a koala, Australia typically ranks high on many British holidaymakers' travel wish list but it is often seen as an expensive holiday option. This is no longer the case as the British pound sterling to Australian dollar exchange rate reached its best conversion level for six years in 2015, making travelling to the Land Down Under much more affordable. World Expeditions offers a six-day Classic Larapinta Trek from £1,195 per person, departing April to September. Having only recently opened its doors to tourists, Georgia’s rich history combined with its stunning scenery, friendly people and renowned wines make it an undiscovered gem at the extremities of Eastern Europe. Travel in springtime, when snow-clad mountains and meadows teeming with wild flowers provide a delightful backdrop to an escorted visit, enjoying highlights such as Ushguli (the highest permanently inhabited village in Europe), the churches of Gergeti, Mtskheta and Gelati, and the fascinating capital Tblisi. Ffestiniog Travel offers a 12-day Springtime in the Caucasus tour departing 10 May from £1,975 per person. Two years after the World Cup, the biggest sporting event on the planet kicks off in Rio de Janeiro on Friday 5 August 2016, putting once again a spotlight on Brazil. But Olympic fever is just the beginning: the country of samba, caipirinha and the most famous carnival in the world is one of the South America’s most diverse and captivating destinations, whether you want to explore its lush green rainforests or discover one of the many bustling metropolises. World Expeditions' 14-day Best of Brazil’s Bahia holiday ventures into some of the least-visited yet most striking corners of Brazil, from £2,490 per person between March and July. The London-Amsterdam route is Europe’s largest international airline market attracting more than three million passengers, but as of 2016 UK travellers will have a convenient alternative to flying. Eurostar is launching a new direct, high-speed service between the British and Dutch capitals in December 2016, which will also call at the cities of Antwerp and Rotterdam, allowing for more choice to anyone looking for an easy break across the Channel. Take advantage of the new Eurostar service and venture on a fascinating eight-day Brussels to Amsterdam Cycle holiday with UTracks through the very best of Belgium and the Netherlands, from £690 per person, departing between June and August. A real hidden gem in Central America, Guatemala has seen an 11 per cent spike in enquiries for holidays in 2016. Improved flight links to neighbouring countries encourage two and three-country Central America itineraries and positive TV coverage from the likes of Stephen Fry only help boost visitor numbers. Guatemala is loaded with incredible natural, historical and cultural appeal: lakes, volcanoes, colonial towns, rainforest and archaeological sites in the jungle. Sunvil Traveller offers a Guatemalan Adventure, designed to cover the lesser-known parts of Guatemala and the main attractions, from £3,698 per person for 14 nights. The second series of BBC drama Poldark hits TV screens in 2016 and its set to put Cornwall back on the UK holiday map. Fans of the 18th century period drama can stay 'on set’ in the National Trust’s Count House Cottage. The cosy cottage for two sits close to the dramatic cliffs of West Cornwall in Botallack, with amazing views over the turbulent Atlantic Ocean. It is surrounded by reminders of its mining past with remains of old mine engine houses which feature extensively as Wheal Leisure (the family mine Poldark tries to resurrect to bring prosperity back to the local area) in Poldark. The South West Coast Path is just metres away for you to explore the area on foot and follows the contours of the cliffs. Three nights at Count House Cottage cost from £275. Peru's capital city Lima has long been neglected in terms of direct flights from the UK. BA is putting the destination back on the map and launching new non-stop flights from 4 May 2016. Daytime flights will depart from Gatwick throughout the summer months on Wednesdays, Fridays and Sundays. From October, the service will be reduced to twice weekly. Wexas Travel offers a 13-day Grand Tour of Peru flying in and out of Lima, from £3,395 per person. Travellers can explore the bustling ‘White City’ of Arequipa, admire spectacular views from the edge of the Colca Canyon, traverse the world’s highest navigable lake (Lake Titicaca), explore Cuzco with its fascinating colonial architecture alongside Incan ruins and last but not least, visit Machu Picchu, the sacred ‘lost city’ of the Incas. Utah showcases the very best of America’s west with its dramatic red rock terrain, sandstone deserts and cool urban centres. Salt Lake City is the capital of the Beehive State and May 2016 will see the first direct flights commence from London Heathrow to Salt Lake City with Delta Air Lines making it one of the hottest US cities to discover next year. Trafalgar offers a nine-day Wild West Cowboys and Buffalos itinerary which begins in the lakeside city before exploring the wild frontiers of rural Montana, gazing up at the imposing Mount Rushmore and passing through the Old West town of Jackson, from £1,868 per person (flights not included). Always fancied a trip to Cuba? You might want to get there before it becomes too 'Americanised'. The United States and Cuba have reopened their embassies in Havana and Washington DC respectively after more than half a century, while John Kerry becomes the first US Secretary of State to travel to Cuba since 1945. Non-stop flights to Cuba are readily available from a number of American cities and cruise lines have started getting permission to offer holidays to Cuba from as early as spring 2016. 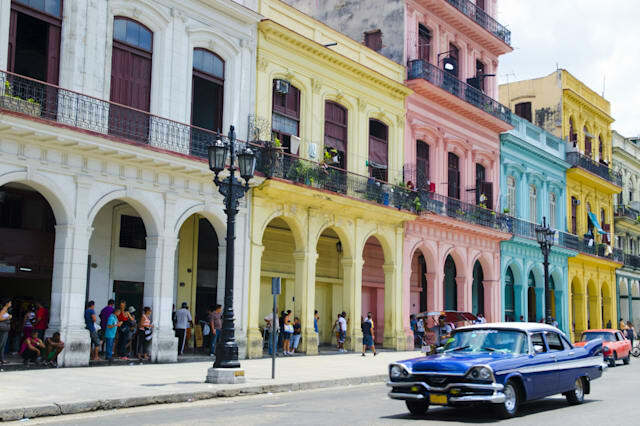 World Expeditions’ local guides can introduce you to their favourite haunts and hideaways on a 12-day cycling tour of Cuba, from £1,650 per person between October and March. The east coast is one of Sri Lanka’s most up and coming areas. It’s home to arguably the best beaches in Sri Lanka and their popularity is only going to increase, so now is the time to visit. Access to the east coast is achieved via an internal Cinnamon Air flight from Colombo into the harbour town of Trincomalee. The area has started to accommodate visitors with a plethora of water-based activities set up around the harbour, including surfing, diving and whale watching trips. There are also plenty of historical sites to visit just outside of Trincomalee, including ruins of ancient temples and monasteries. Kuoni offers stays at eco-friendly hideaway Uga Jungle Beach, located 16 miles north of Trincomalee, from £77 per night. The remote South Atlantic island of St Helena offers great appeal to those looking to travel far off the beaten track. In February 2016, St Helena will open its first airport (previously only reachable by sea) making the island much more accessible to UK visitors. Discover the World is one of very few tour operators providing tailor-made trips to the remote island (prices available upon request). While on the island, you can enjoy historic sites, dramatic landscapes and a range of wildlife. Don't miss climbing the 699 steps of Jacob’s Ladder, finding the heart-shaped waterfall at Diana’s Peak National Park or strolling around Jamestown’s brightly-painted buildings.